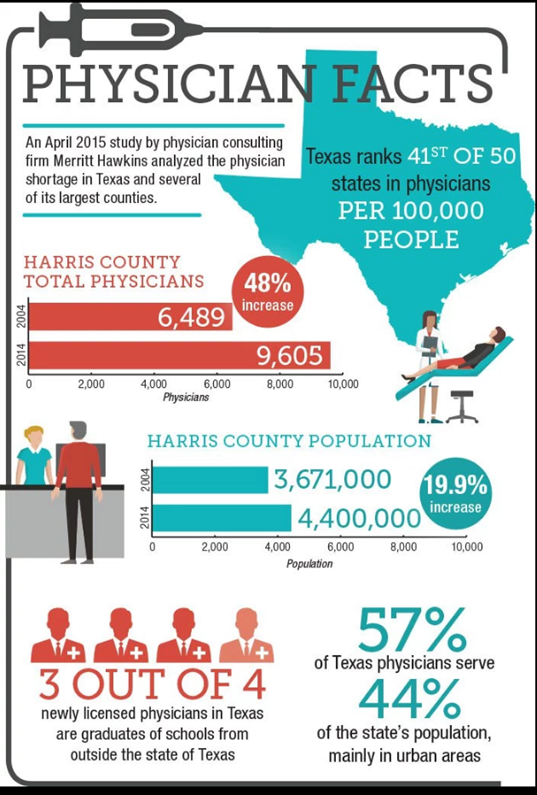 ​​​​THE WOODLANDS - The community expects to bring in more physicians and medical staff as it becomes a bigger hub for health care in the shadow of a nationwide doctor shortage. A study by the Association of American Medical Colleges predicts that by the year 2025, the United States will face a shortage of between 61,700 to 94,700 primary and specialty care physicians. Click here for Houston area 1Q 2016 Medical Reports from commercial firms.